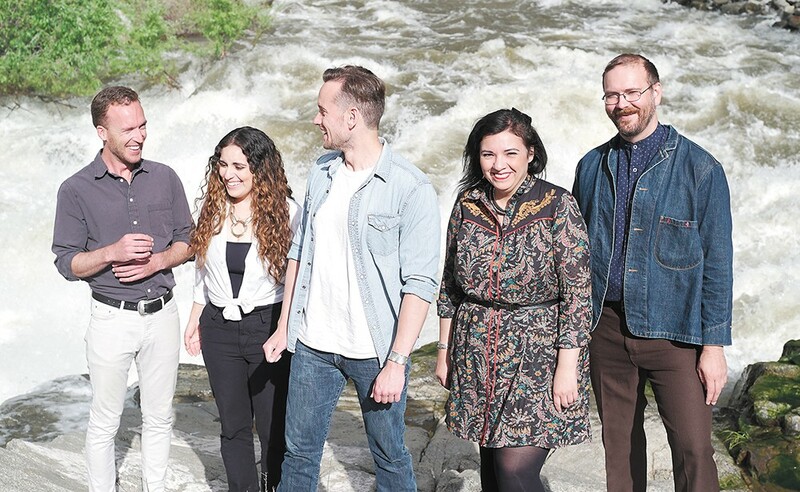 Finding religion: The Eagle Rock Gospel Singers twist classic spirituals into new sounds. Jeremy Horton's path toward gospel music didn't start with a few faith-filled steps inside a Baptist church, inspired by a badass choir delivering soulful sounds in praise of the Almighty. It started, rather, while slogging through a shift at his desk-jockey day job. "I work at The Last Bookstore in Los Angeles, and we deal with a lot of media — CDs and DVDs and stuff," Horton, guitarist/singer for the Eagle Rock Gospel Singers, says from his Southern California home. "A lot of my job is sitting at a desk. For, like, 10 years. And every CD that would come through that looked interesting, I would give it a listen. I kind of got a taste for the old gospel just by trying stuff out and liking the sound." Horton claims an "eclectic taste in music," and played in some metal bands while bonding with his roommate Will Wadsworth over a shared love of the Grateful Dead and Phish. Horton's discovery of energetic old gospel by acts like the Dixie Hummingbirds and Sister Rosetta Tharpe sent the roommates into an obsession that eventually led to them throwing parties where they and like-minded musician friends would give gospel classics a modern, roots-music twist. Thus, the Eagle Rock Gospel Singers were born. "We would cover these different gospel songs," Horton recalls. "'Twelve Gates' is one. Some Washington Phillips songs. So it kind of started out that way, with Will and I. Now he's the main songwriter and I'm the guitar player." That group at the house parties nearly a decade ago has solidified around a core that includes vocalists Kim Garcia and Andrea Chita and bassist Kevin Collins. The band will release its second full-length, No Glory, on July 14 as they embark on a tour that will include their first-ever Spokane stop. Like its 2015 predecessor, Heavenly Fire, the new album showcases a band that pushes gospel-inspired songs into myriad directions. Some might feel like bluegrass, others like straightforward alt-rock. The powerhouse vocals evoke some jazz vibes as well. Horton says the group picked the best songs for the record, without thinking too much about genre labels. "We've really grown," Horton says. "It's not really gospel. It grew from there, and that's the name of the band, but I don't know. If you listen to our record, you might say 'that's alt-country' or 'that's folk.' We have some psychedelic stuff on there." Regardless of what you call it, the music is inspiring and energetic. In that, it's still like the best examples of gospel. And while the band has a reputation as a killer live crew, Horton says they're still evolving on stage, just as they are with their songwriting.